Most people will tell you that Andy Pettitte retired in 2013. That he is about to make his first appearance on the Hall of Fame ballot after this season. But what if I tell you that he didn’t retire and simply continues to pitch in the Yankees’ rotation, making one crafty cutter-filled start after the next? Pretty much, that’s what CC Sabathia has provided since Pettitte actually retired. Now 37 years old, Sabathia doesn’t have nearly the stuff with which he began his Yankees tenure. But in his 10th year in the Bronx, that likely won’t make much of a difference as the CC-renaissance enters its fourth season. Let’s get into what he brings to the table. A 37-year-old pitcher just a couple years removed from a run of poor seasons? Sounds like a recipe for someone who won’t project well. Beyond that, he benefited from a career-best strand rate and outpitched his peripherals last season. 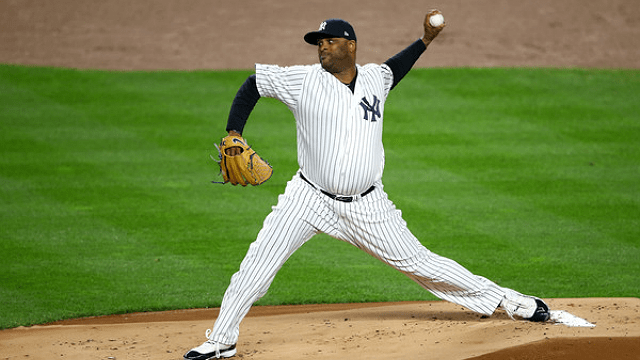 What the systems don’t account for is Sabathia’s potential to sustain weak contact. He also could sustain some of his strand rate simply from having top-notch relievers replace him when he runs into trouble. However, with his knee issues and his lower velocity, a drop off in performance certainly could be in the cards. When Sabathia was an objectively bad pitcher a few years ago, it’s because he wasn’t fully living up to the title. He wasn’t pitching so much as throwing, admitting that he didn’t focus on sequencing while trying to rely on his stuff. For the last 2.5 years, the veteran southpaw has taken a page from his old buddy Pettitte and changed up his style. He has traded in a low-90s four-seam fastball that was getting smoked for a 91-mph cutter to go with a low-90s sinker. His devastating slider is still there and still is used to back-foot righties and move away from lefties. Beyond that, he uses his changeup to backdoor righties and it’s been effective in that way. It’s impressively similar to what Pettitte was doing after his last comeback to New York. 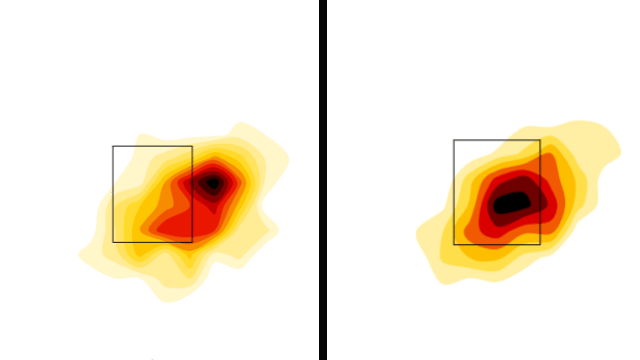 Take a look at how Sabathia used his cutter/four-seamer in 2017 vs. how Pettitte used his cutter in 2012-13: CC is on the left and Andy is on the right. 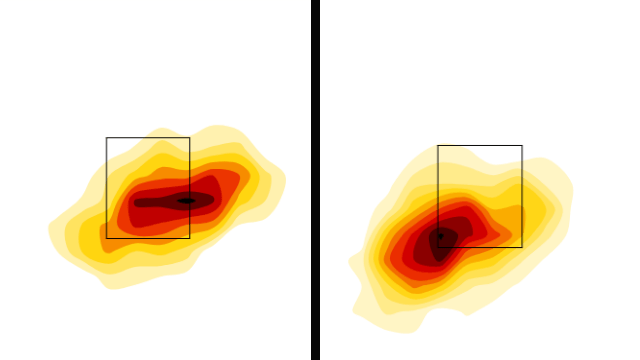 And here’s their sliders: CC keeps his slider a little bit more away against righties while Pettitte goes inside on righties, away from lefties. 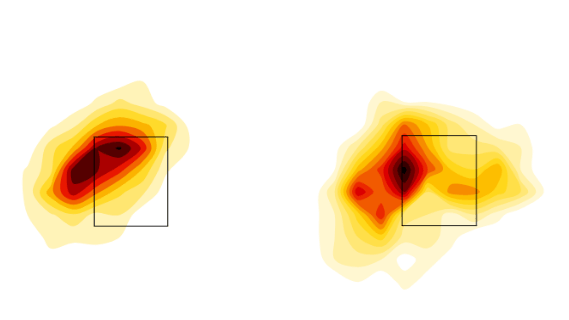 Really similar ways to attack hitters even if they aren’t the exact same heat maps. Pettitte used the cutter to backdoor hitters a little more and Sabathia is more committed to keeping his non-sinking fastballs up and in. But still, a lot of cutters in on the hands, sliders away and some offspeed pitches, whether it’s Pettitte’s slider/curve or Sabathia’s changeup, as a backdoor pitch. Sabathia’s sinker has been a real worm killer, leading to his best ever GB/FB ratio (1.79) and a near 50 percent groundball rate. He keeps the sinker away from righties, and it’s the only fastball he uses low in the zone. According to Fangraph’s pitch values, CC had a productive changeup for the first time since 2012 and had his best cutter yet. His slider wasn’t as good as 2011, but it’s been a productive pitch outside of 2014-15. All that sounds great, right? Here’s the wet blanket for the Sabathia hype. His right knee issue isn’t going away, even with a brace that has helped keep things in check (Thanks, Carlos Beltran!). After his career, he’s going to need knee-replacement surgery, but that can wait until after his career is over. Last season, he missed 20 games with a Grade 2 left hamstring strain in June before being out for just a day more than the minimum 10 days with a right knee injury. He lost time in 2013 with a strained hamstring as well and missed most of 2014 and 17 days in 2015 with right knee issues, so both are re-occurring to some extent. He also went on the DL for a little while in 2016 with a left groin issue. This spring, he suffered a small ankle sprain, but it hasn’t affected him during a solid Grapefruit League showing. He came to camp with a better physique after going vegan for a period this offseason, so that could potentially help him avoid some health issues. While it’s unlikely CC will provide a full complement of 33-34 starts due to some nagging lower-body injury to be determined, he has the formula to be successful in 150-175 innings. He’s had 27-30 starts and 148.2 to 179.2 innings in the last three years. You add in his 19 playoff innings and he still threw 167 2/3 last year, an impressive number considering. Even though the team will half to fill in 5-10 starts from other sources, Sabathia should be a great value at $10 million. If he can keep this up, he’s a guy you want at the back-end of a playoff rotation and along for another one-year deal next offseason.